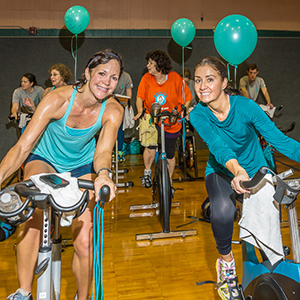 OCRFA's Ovarian Cycle is a series of fun and inspiring indoor cycling events. 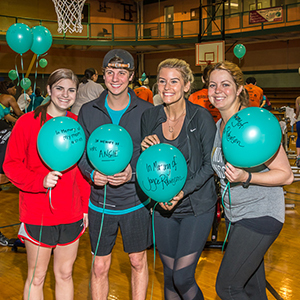 Riders come together for one important goal: to fund much-needed ovarian cancer research that will one day find a cure. 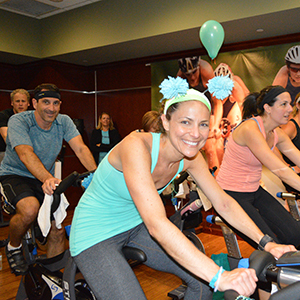 Riders can cycle alone, or with a team of family, friends and colleagues. 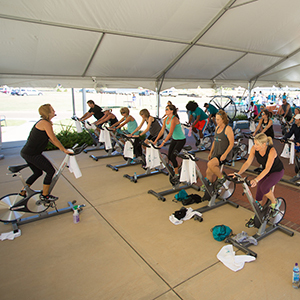 Some ride in honor or memory of a loved one, some are ovarian cancer survivors, and others just enjoy the fitness challenge and want to support the cause. 2018 Rides - More Coming Soon! Don't see a ride in your area? We can help you start one in your community! 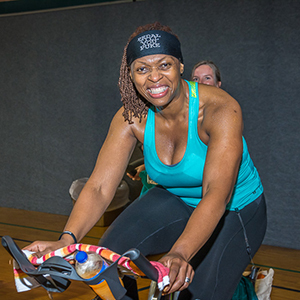 Find out how you can host your own ride, and contact us with any questions. 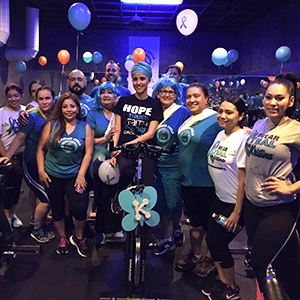 © 2019 Ovarian Cancer Research Fund Alliance. All Rights Reserved.